This topic contains 2 replies, has 2 voices, and was last updated by mdanz 1 year, 7 months ago. I’m trying to implement a Renko Chart. I currently have a candlestick chart and data Open, Close, High, Low. How do i use this data to get a Renko Chart? Is there a plugin or formula available to manipulate (Open,Close,High,Low) to get a Renko display with CanvasJs. 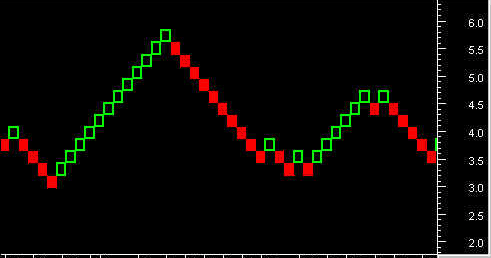 Below image is a Renko Chart.